Our student discount promotion is finally back! 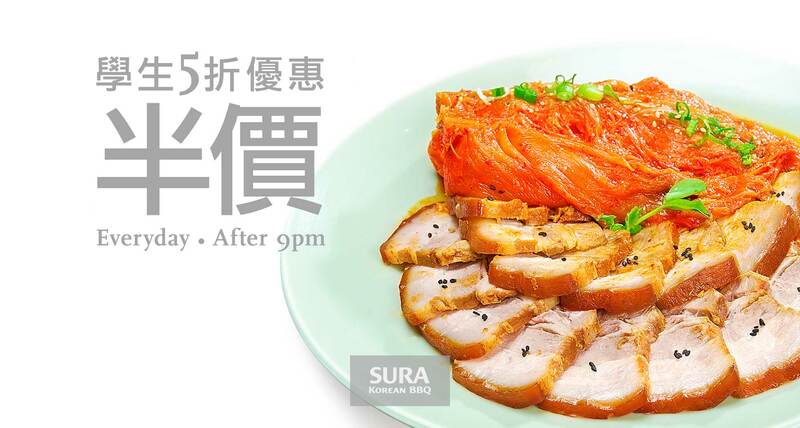 Our Student Discount Promotion at SURA Korean BBQ is finally back! Visit SURA Korean BBQ today to get your late night food fix! Now, students can enjoy 50% off discount on all food menu items, everyday after 9pm! Just bring your student ID! SURA Korean BBQ Richmond is now taking reservations! Call (604) 370-5540 for your reservation today!